Technology never fails to amaze me. The last 10 years it has grown by leaps and bounds, leaving us trying to keep up. Of course, when progress is made in the technology behind video and photography, makeup has no choice but to follow in order to suit the newly surfaced needs. And who could do it better that Make Up For Ever… As soon as 4K resolution landed, MUFE took the industry by storm by launching the improved version of her HD line, the Ultra HD babies. 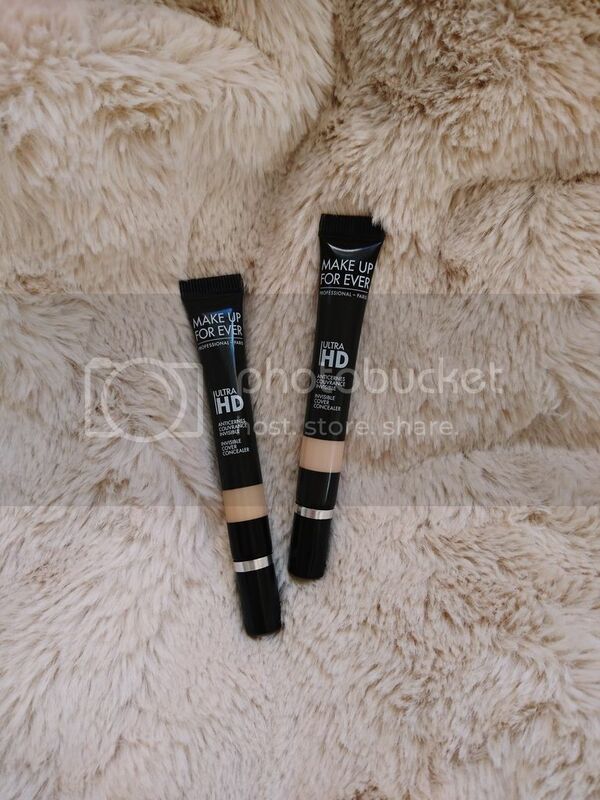 The holy trinity of the Ultra HDs consists of a liquid foundation, a stick foundation and the concealer. Since the sticks have yet to arrive in Europe, we shall talk about the other two. 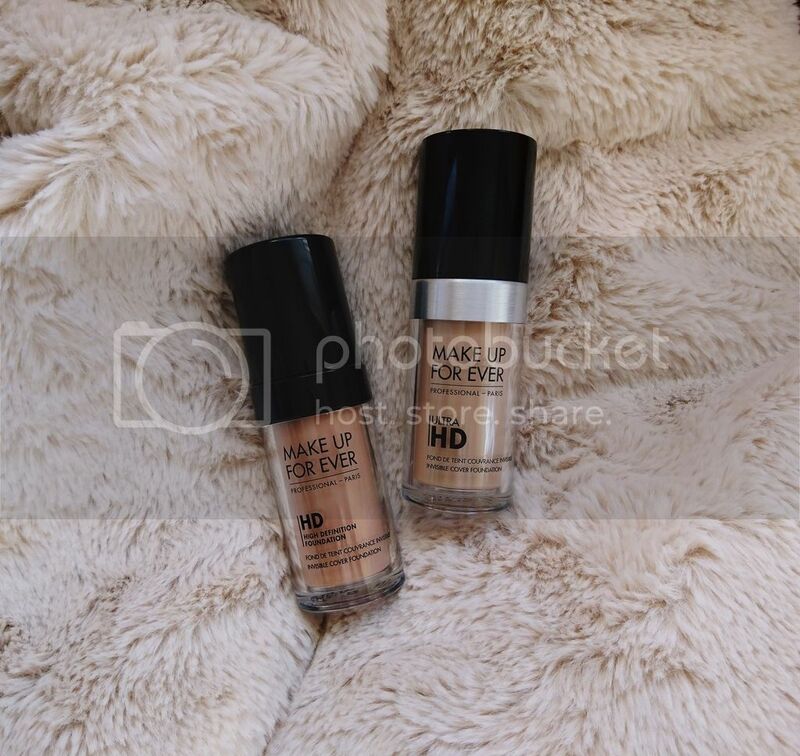 The original MUFE HD Foundation has been a cult favorite among makeup artists, bloggers, gurus and public for years. The heirs to the throne are no exception. Comparing the two, you’ll find benign differences as far as coverage and finish are concerned. The Ultra HD is a bit more moisturizing and just a hair more dewy than the original HD. Is there a significant difference in photos and videos? I would say a bit, but what does it claim? “Created for the very latest high-definition technologies of the film and TV industry, ULTRA HD advanced formulas look invisible on 4K camera and to the naked eye. Perfect for the makeup pros and for you. ULTRA HD Foundation feels like a second skin, but still provides medium coverage and the light-diffusing formula looks natural and makes skin look flawless and feel moisturized. Exclusive 4K Complex guarantees invisible, natural and comfortable makeup. The fluid texture blends in seamlessly and conceals imperfections to unify the skin’s texture. Great for all skin types. Let’s talk about the concealers that have won over everyone. They come in a sleek, skinny tube that takes up no space in makeup bags and kits. A big plus, in my opinion. The packaging is ideal for professional use, but for the individual that does his makeup on a day to day basis, I think that most of us would agree that a wand (like the one on the Urban Decay Naked Skin) is more convenient. But MUFE is the epitomy of professional brands so, sit down Jennifer. 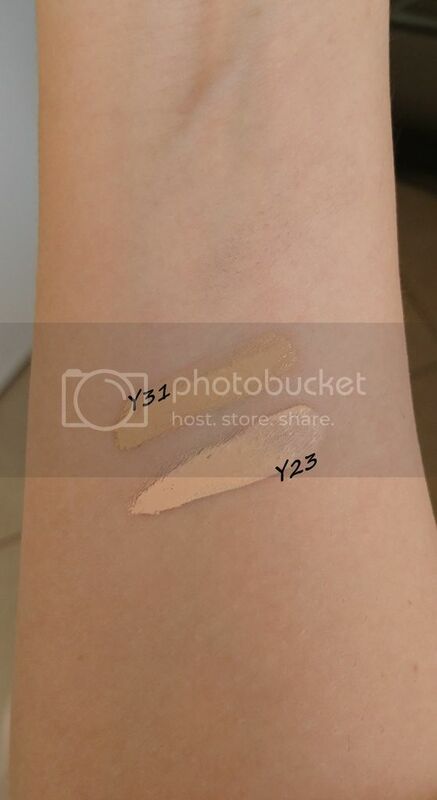 It comes in 9 different shades, of which I picked up Y23 and Y31 because they seemed the ones closest to my skintone. I was a bit (un)lucky and found myself at Sephora the morning they arrived, but the testers weren’t there yet. If you are not familiar with MUFE’s way of naming products Y is for Yellow and R for Rose. You can see the whole range here. As you can tell, all the available (for now,I hope) shades are really light. Medium-dark to dark skintones will not be able to find matches in this line. Fingers crossed, they will expand their shade range soon, to match the foundation shades available. Well, I am kinda lucky, concealers seem to like me and I can get away with not wearing powder on top of most of them. Not this one though. It leaves a wet finish look that, sadly for me, is not passable. Back to the foundation. Since we have established that there’s not much difference between the original formula and the ULTRA HD (apart from the silver band added to the bottle), which just photographs a tad more beautifully, let’s address the shade selection available. By changing the names of the shades, it is now much easier to find a match for you. 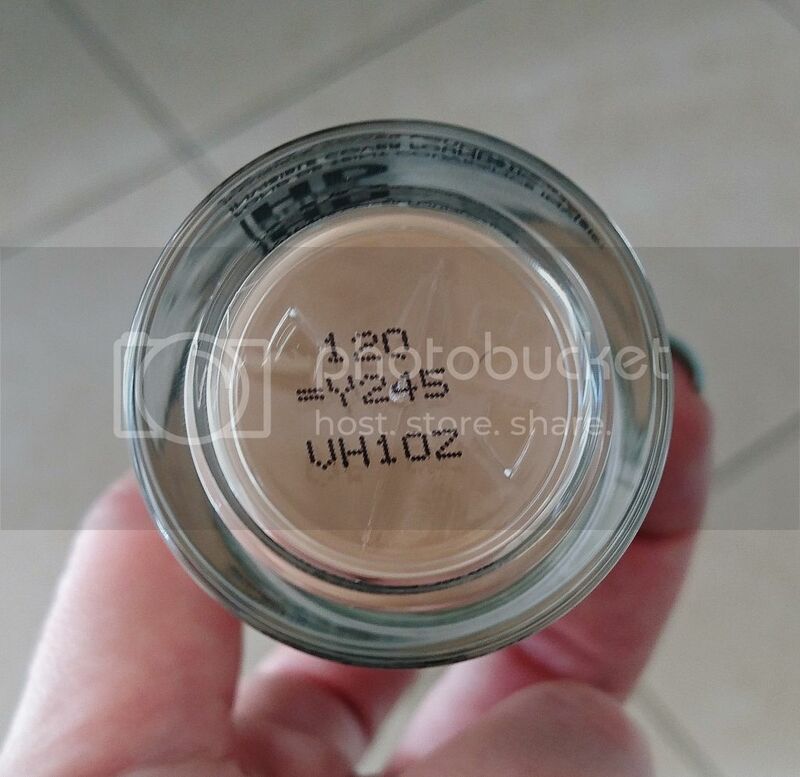 They have added the old numbers at the bottom of every bottle to help original HD foundation users find their match in the new range. That is very clever, and very helpful. 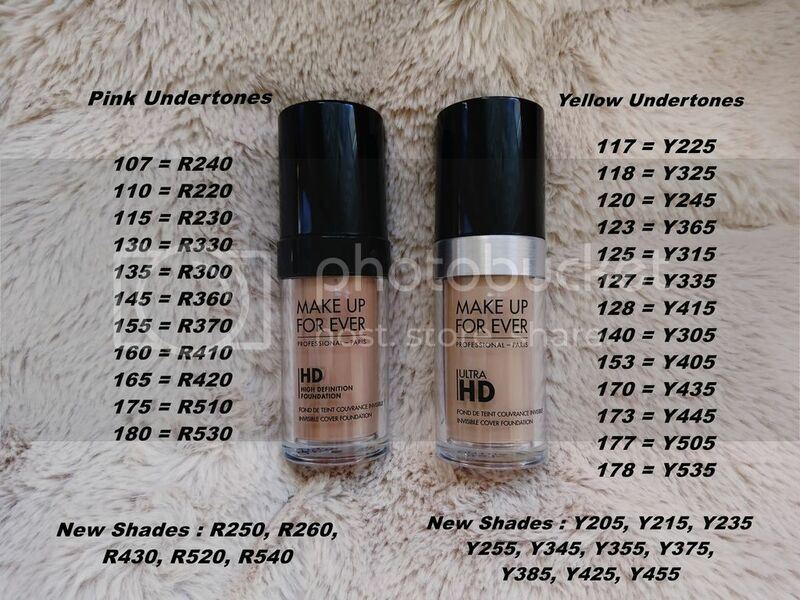 They also added a total of 15 new shades to cater for those who were in between shades in the OG HD foundation. Isn’t that fantastic? For anyone that wasn’t sure about their shade, here’s the matches. I have to point out, that oily skin types will not be happy with the Ultra HD’s performance throughout the day. If you struggle with keeping your oil production at bay, I suggest you pair this with the MUFE Step 1 Skin Equalizer Mattifying Primer ($37) for best results. Godspeed. To wrap this review up, I personally prefer the new formula. It’s a bit more comfortable on the skin. Not that there would be a choice if I preferred the old one, that baby is long gone now. What do you think?